June 2002. 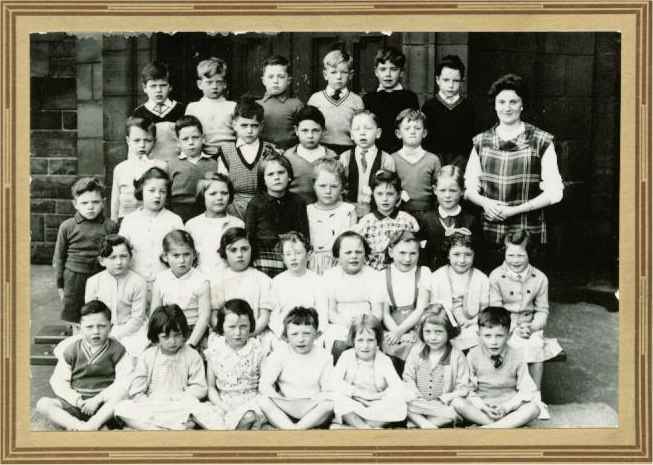 Jim Turnbull sent in this class photograph. Extract from e-mail, Jim Turnbull, East Kilbride, Scotland. webmaister : "What a memory Jas, just about every name in the class." I went to John St School the same time as this fellow but we only became pals roundabout 1971 when we met in Bridgeton Telephone Exchange. We struck-up a real bond with each other, became officers in the 219 BB and have been good pals ever since. He is married to Agnes they have 3 daughters and a son....and he is a Granda!!! P.S. your a right wee grumpy in the photo! "That's me 4th row no. 5, my mother has this photograph in an album!" Aug.2005, Email "Hi I'm marion johnstone I am in the front row of this class of 1959 no 5." 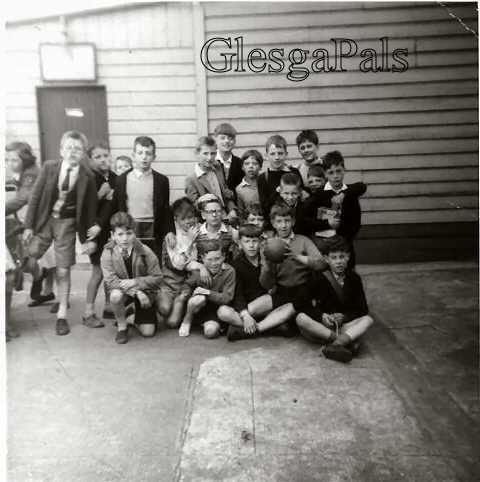 ".....this photo c1959 was taken in the the back playground at Strathclyde Primary school. Henry Watson is holding the ball......well it's his ba'............."